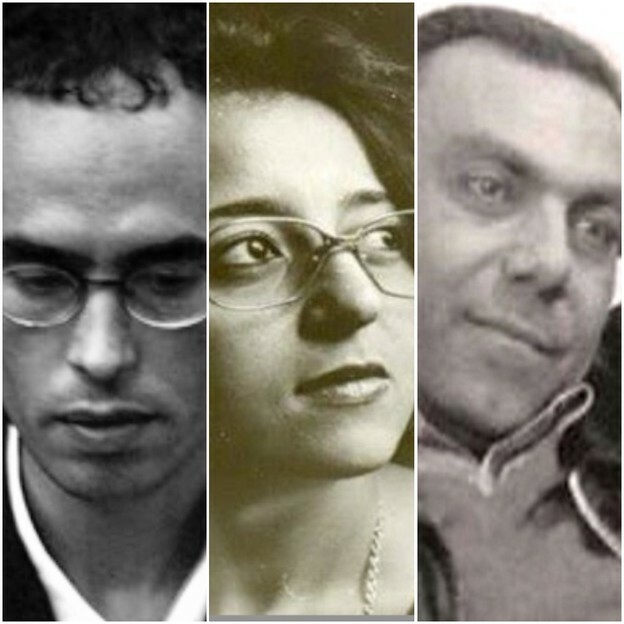 “Poets of the Nineties” is a phrase used to refer to a generation of Egyptian poets who came to prominence in the mid-1990s. A group of them called themselves al-Jarad (Locust). The nexus of the group was an underground magazine by the same name, founded in 1994 by a few members, most active among them are Ahmad Taha (b. 1950) and Muhammad Mitwalli (b. 1970). These writers intentionally disengaged from the motivations of their modernist predecessors. They insisted that their poetry did not have to interrogate language, reimagine history, and continuously redefine the tradition to which it belonged. They claimed that their project was self-produced and had no roots in anything prior to it; it rose from the mundane details of their everyday realities. In a poem titled “My Friends,” Usama al-Danasuri (1960–2007) speaks of the feelings of inadequacy and loneliness that motivate him to write. or because I’m infatuated with a careless beloved. He deliberately denies the archetypal Arabic motifs of poetic inspiration, the “demon”of poetry and the “careless beloved,” as motivations. Iman Mirsal is another member of the original Jarad group. She takes on a defiant cynical perspective, often pointing out the ironic and devasting contradictions in social norms and expectations. Her work centers on the experience of displacement and the struggle to find one’s place among languages, countries, selves, and others. Her recent work exhibits an insightful attention to details and a reliance on intensive imagery. In the following poem she draws the portrait of Dr. Levi, an immigrant physician who understands the ailments of living in-between. He tells me he doesn’t forget patients who suffer in different languages. And that he hasn’t experienced the hell of looking at himself from a peephole in the wall of his being. If Dr. Levi were Egyptian, he would have been a movie star. If I were still Egyptian, I would have fallen in love with him. for moral reasons, and from South Africa for emotional reasons. It seems that he too suffers in different languages. The piece centers on the phrase: “If I were still Egyptian,” which underscores displacement as a process of shedding familiar selves and effortfully patching up their remnants into new ones. ʿImad Abu Salih (b. 1967) is one of the most singular yet relatively undiscovered poets of this generation. His poetic career, which began in 1995 with the collection Matters Already Decided, has thus far been unusual, idiosyncratic, and punctuated by periods of self-imposed silence. Even after establishing himself as one of the prominent prose poets of his generation, he remains a recluse from Arab and Egyptian poetic scene. He insists on self-publishing and only privately circulating his work. Abu Salih paints small, intense scenes in which he introduced characters, employs dialogue, and builds towards a climatic ending. His condensed narrative texts are held together by the tension of the short lines and the “blow” that his reader comes to expect at the end of every piece. and my blanket an old shawl. and my beloved is the neighbors’ dog. and a willow tree our umbrella. and the cloud is ice-cream. My uncle’s daughter is Bilharziasis. My mother is the queen of the chicken people.